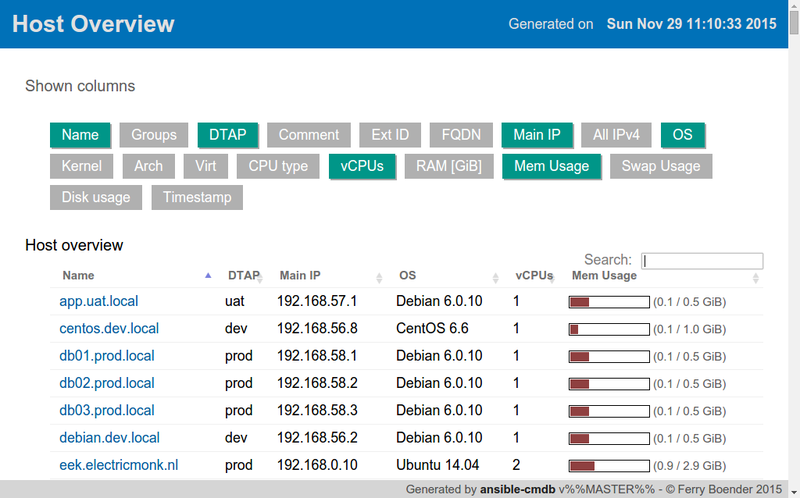 Ansible-cmdb takes the output of Ansible's fact gathering and converts it into a static HTML overview page (and other things) containing system configuration information. It supports multiple types of output (html, csv, sql, etc) and extending information gathered by Ansible with custom data. 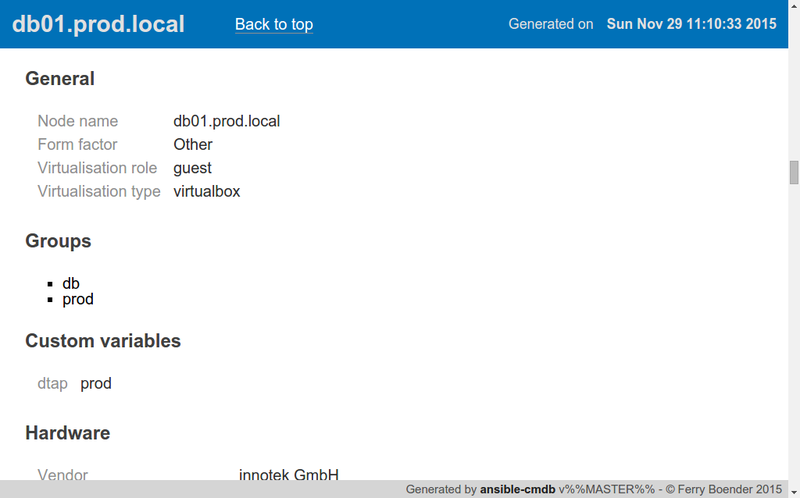 For each host it also shows the groups, host variables, custom variables and machine-local facts. Fancy HTML (--template html_fancy), as seen in the screenshots above. Fancy HTML Split (--template html_fancy_split), with each host's details in a separate file (for large number of hosts). CSV (--template csv), the trustworthy and flexible comma-separated format. JSON (--template json), a dump of all facts in JSON format. Markdown (--template markdown), useful for copy-pasting into Wiki's and such. Markdown Split ('--template markdown_split'), with each host's details in a seperate file (for large number of hosts). SQL (--template sql), for importing host facts into a (My)SQL database. Plain Text table (--template txt_table), for the console gurus. and of course, any custom template you're willing to make.